What does it take for a man to be fit and healthy after 35? What happens to a man’s body once he hit’s 40? What is the best way to combat aging and fatigue? 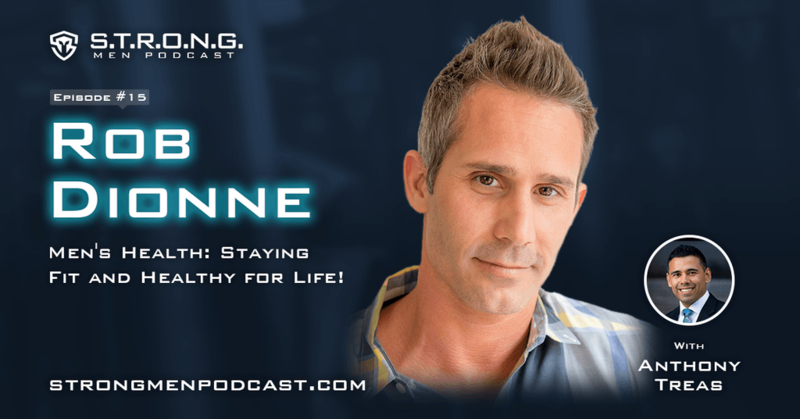 My guest, Rob Dionne, gives solid tips for men over 35 who are serious about changing their health status from one that is unhealthy to a healthy lifestyle that is both beneficial and doable! Men over 35 who want to be fit and healthy are finding it difficult to live a healthy lifestyle. Plus, as we age, the body tends to deposit fat around the abdomen area before anywhere else. After 40, shedding body fat around the abdomen becomes very difficult. This can be a huge struggle for men to deal with, but it doesn’t have to be this way. There are simple and easy ways for men to incorporate healthy activities and eating into their lives and have a body they can be proud of. What does it take to stay healthy as we age? What are the real struggles men have about their health? Why it is very difficult for men to take ownership of their health and mental well-being? What role does nutrition play in staying fit, increasing stamina, and building muscle? No matter what age you are, it is possible for men to benefit from living a healthy lifestyle to improve their performance in and out of the office, in bed, and in life! There is no better time than now to focus on your health and well-being. You won’t have to change everything about your life this minute. Start small and build from there.